This 4th of July in Vancouver there will be a very special American celebration at the City’s free FIFA Women’s World Cup Fan Zone. American Idol winner Nick Fradiani will perform live on main stage, including his debut single “Beautiful Life” which is the Fox Sports Official Women’s World Cup anthem. The Fan Zone will be open from 12:00pm to 8:00pm on Saturday, July 4th and Nick Fradiani will take to the stage at 12:15pm, courtesy of Fox Soccer. Broadcast of the 3rd/4th place Women’s World Cup match between England and Germany will start at 4:00pm on the big screens. 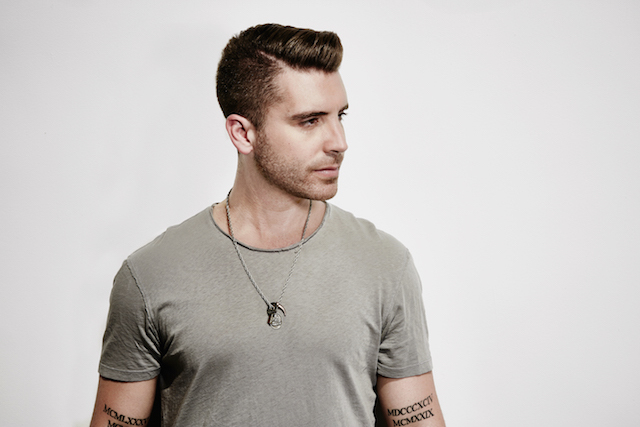 As the Season 14 American Idol winner, Nick Fradiani is not only be headlining the Idol tour, but he is watching his first solo single, “Beautiful Life,” [written by Dashboard Confessional’s Chris Carrabba] climb up the Billboard charts. In addition to traversing the US promoting his single, Nick has already begun the creative process for his album, his first for Big Machine Records. He has been writing on his own, and will be doing some co-writing sessions up until he leaves to go on tour. Nick’s goal is to continue to write while on the road, and he is hoping to fit some recording sessions in between dates as well. After the tour wraps, Nick will solely focus on being in the Studio, readying his album for release. During the tournament, the Fan Zone has attracted more than 89,000 visitors during its first nine opening dates, including 21,508 on the day of the quarter final match between Canada and England. With America in the final, and thousands of USA supporters in Vancouver, the Fan Zone will offer fun soccer-related activities and this free concert to help them celebrate the success of their team this far. USA will take on Japan in the FIFA Women’s World Cup final on Sunday, July 5th at BC Place at 4:00pm and the Fan Zone will be open that day as well from 12:00pm to 8:00pm. It’s free to attend the Fan Zone, located at Georgia and Cambie in Downtown Vancouver, and there is beer for purchase, food for purchase, and free family activities throughout the venue. Follow the City of Vancouver on Twitter and Facebook, and #VanFanZone on Twitter for more information. I’ve had a great time being the City’s official journalist/blogger for the FIFA Women’s World Cup in Vancouver and have given away tickets to every match at BC Place to those who tweeted selfies @Miss604 from #VanFanZone. I’ll have the winner of the tickets to the final posted later today. You are doing a fantastic job of supporting and bringing awareness to this great event we are all experiencing in Vancouver – well done my new friend!